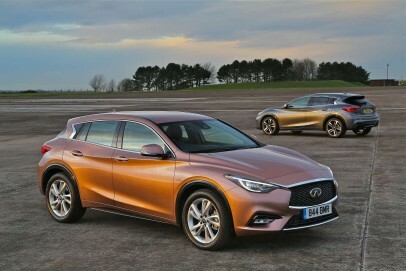 The Infiniti Q30 is an up-market five-door hatchback that's based on a Mercedes A-Class and also aims at the premium compact hatch segment that car competes in. This design has broken new ground for the Japanese firm and is British-built. Despite the Far Eastern roots, the Q30 is built at Nissan's plant in Sunderland.